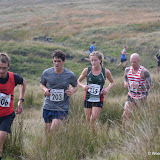 FRA BM (cat B, medium length) fell race - 12km/300m from Penistone Hill Country Park, near Haworth, W Yorks (GR 025364). Cadbury's Curly Wurly to all finishers. Free coffee and biscuits. Senior fancy dress prizes with the theme being Halloween of course. 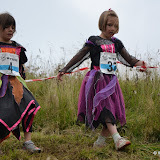 So if there are any witches, horrors or monsters out there who fancy a run, a prize could await you. Autumn and the great weather it brings will soon be on its way and that means the challenge of Haworth Moor will be calling you, after all you know you love Penistone Hill and the 'pleasure' it brings. 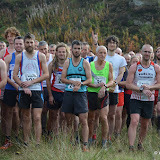 NB: entry forms for the Auld Lang Syne race will NOT be available at Withins this year due to the Withins race being earlier than normal, this will stop anyone sending in entries early. But entry forms will be on this website on 31st October for entries to open on 1st November. 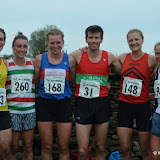 But 3 entries for the 2015 Auld Lang Syne race will be on offer to Withins runners in the free prize draw, you must be at the Old Sun Hotel prizegiving to win. CS. Date & venue as above, starts from 10.30. £1 entry on the day only. U8 (over 6) 0.8km/30m; U10/12/14 1.6km/50m; U16 U U18 3.2km/100m. See the Quarry Runs page for records and a course map. It's Rat Run time kids so let's see you trying to follow in the footsteps of World, Olympic & now Commonwealth Triathlon champion Alistair Brownlee by winning a Quarry Run which he did in 2001. Don't worry too much if you're not on top form, we remember when World, Olympic Bronze & Commonwealth Silver medallist Jonathan Brownlee ran in the BU12 race where he finished fourth and look at him now. 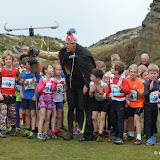 Remember for the not so fast runners out there, you can always run in fancy dress - we have many chocolate prizes on offer, the theme is anything ratty or Halloween. We're sure there's a few little horrors or monsters out there, and we want to see them, even though mum and dad don't! All finishers receive a Precision Pest Management goody bag containing a Cadburys Curly Wurly, a Flump, bag of crisps, popping candy, a chocolate mouse and a Curly Wurly Rat Run certificate along with a carton of pop. Prizes are extensive with at least the first three boys and first three girls in U8, U10, U12, U14, U16 & U18 all having choice of the table, plus all prize winners will collect a toffee or chocolate apple including fancy dress. To end the day with even more fun don't forget the famous chocolate throw out. 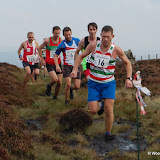 Read all about the Curly Wurly Rat Runs in the Spring 2009 Fellrunner magazine article.